New gate design is stronger and more suitable for users of mobility vehicles due to the extra strength of the bottom two rails. The trombone handle provides easier access for all and is supplied as standard. 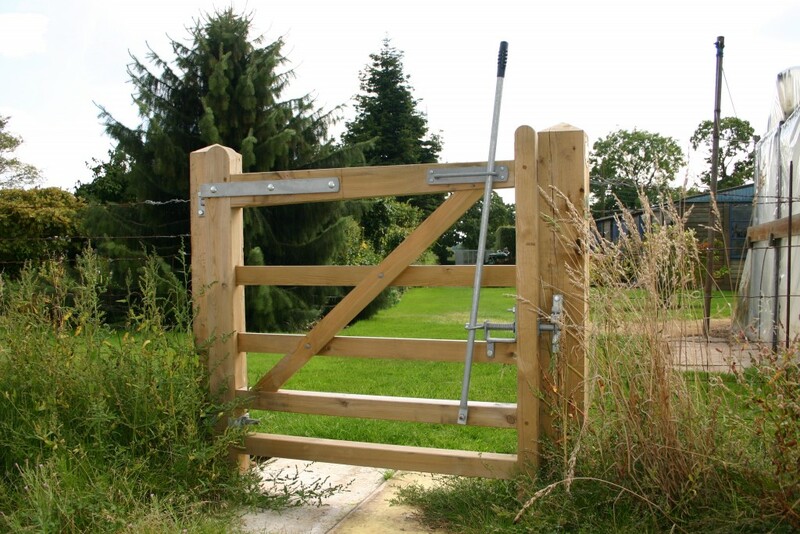 EASY LATCH and 90 degree self closing gate system makes this gate ideal for all users. A gate stop can be incorporated into the hinge system to ensure the gate cannot be left open(not included) phone for details. 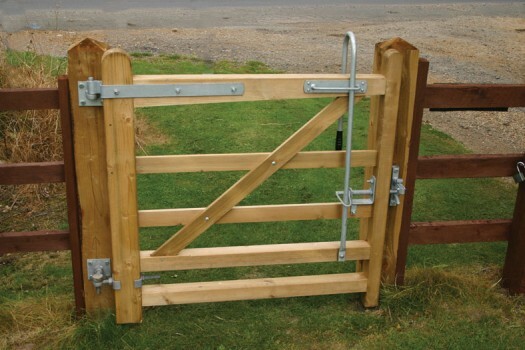 This gate is particularly suitable for country parks and circular walks. A stock proof handle is available to replace the normal EASY LATCH handle for an extra cost. £21.50.